These adjustable high pressure single stage regulators are designed to provide an economical solution for pounds to pounds service applications. They can be used to regulate air as well as LP gas. 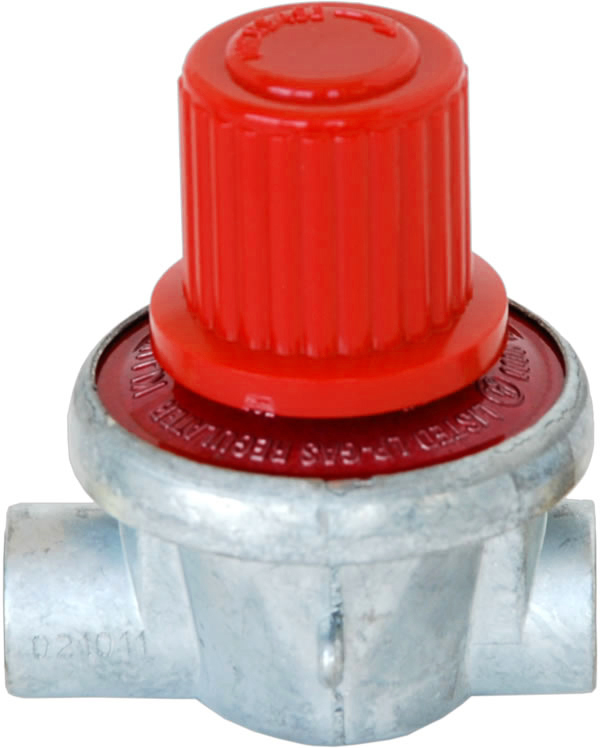 Regulators must be installed in compliance with federal, state or local codes or laws in accordance with NFPA 58. Single stage, adjustable high pressure regulator. The body and bonnet are precisely machined and feature a crimped design and fabric reinforced rubber diaphragm creating a positive seal for leak-free performance. Works great with my Manchester Power-Jet Ag burner. No more icy tank.